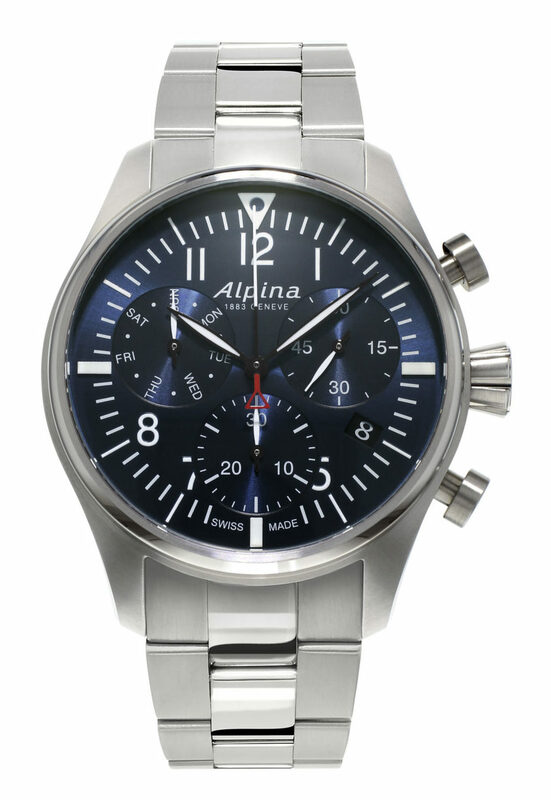 Alpina has announced its latest line of timepieces alongside news that Mike Goulian, the current leader in this year’s Red Bull Air Race World Championship, has been signed as a brand ambassador. The watchmaker has also formed a new collaboration as the Official Team Partner of Team Goulian in the Red Bull Air Race World Championships. 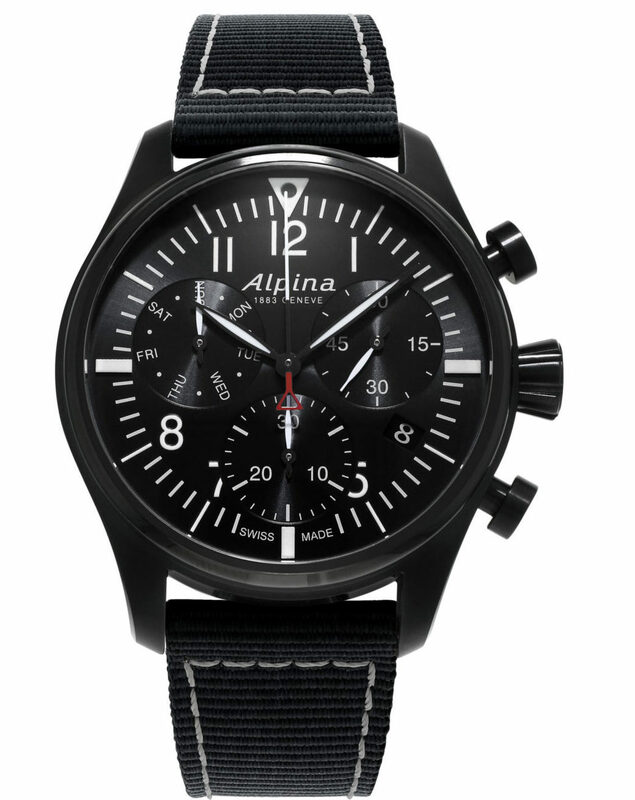 The new Startimer Pilot Chronograph Quartz from Alpina comes in three core styles. The first has a navy blue dial with a matching blue nylon strap or a stainless steel bracelet. The second showcases a beige dial also with a choice of either blue nylon strap or a stainless steel bracelet. The third is an all-black version. All three have a 42mm case with a scratch-resistant sapphire crystal and a specially-engraved case back with the Alpina logo. Each dial is decorated with white or blue luminous indexes and hand-polished hands. Three counters are placed at 3, 6 and 9 o’clock displaying the small seconds counter, the 30-minute counter and days of the week respectively. A date window is added at 4 o’clock to complete the functionalities. The pieces will make an appearance at Basel this year and go on sale for £795 ($1100) in May.